The 100th edition of We Got Ya Covered continues with some classic 100th issue covers! 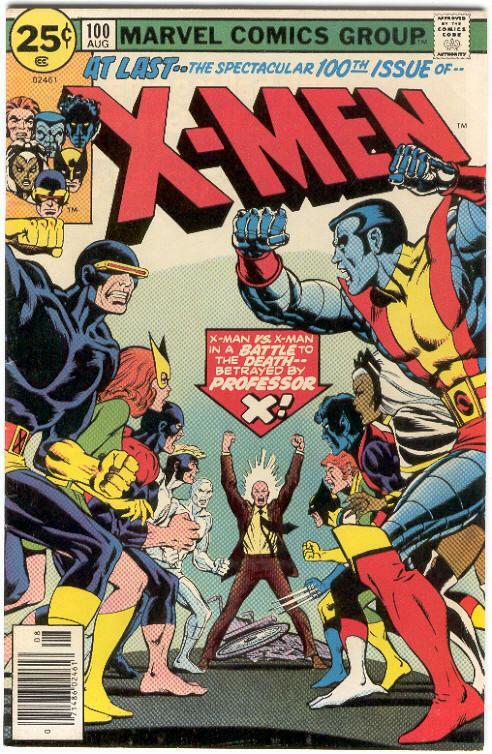 The all new and all different X-Men were continuing their adventures and in this 100th issue they face off against none other than Professor X himself. Chris Claremont;s spectacular run on the X-Men featured story lines that ran over multiple issues and this was no exception as though it was the spectacular 100th issue as the cover said, it was part of a greater story. And on a side note, the fastball special by Wolverine and Colossus was first done in this very issue!